Text message monitoring is something that many people might desire for both good and bad reasons. Take an example of a parent who wants to make sure that his or her children can have a smart phone but is worried that they might expose themselves to danger by communicating with risky people online. That parent should have a way through which he or she can access the messages in the child’s phone remotely. The parent needs to be proactive all the times and see what the child is doing so as to parent easier. Another example is a boss who provides cell phones to the employees for professional facilitation. The employer would want to monitor phone for making user that he or she can tell exactly where the phone is and what it is being used for. The reason for this is because company resources should be monitored so as not to be misused. In addition the employer needs to make sure that the phone (or employee to whom the company owner gave it) is not being used for espionage against his or her company. 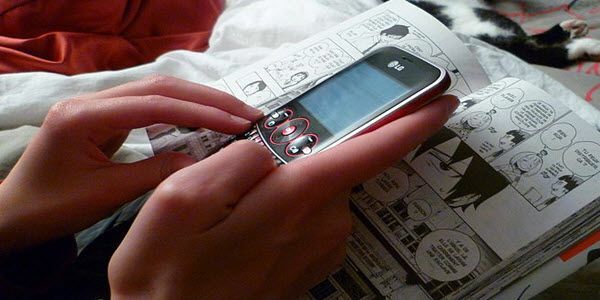 There are many spy apps out there that can help spy text messages. As of me writing this article there are about 10 mobile spy apps (popular ones I tested so far) that can be installed in a smart phone for the purpose of finding out what it is being used for. The apps all have different levels of development. Some apps are not only able to find out what text messages phone is sending and receiving, they are able to spy WhatsApp and other non-default (such as Facebook, Line, Snapchat and IMO etc.) apps installed on it – and to recover deleted text messages too. This is because when things get deleted they do not get completely obliterated but rather are overwritten by other things (if you want me to speak the language of a tech-savvy). They therefore can be uncovered with the right tool. The ability of an app to recover deleted messages is however dependent on the phone’s memory capacity. Phones with a big storage capacity will reveal more messages than phones with a lesser storage. Auto Forward Spy, mSpy and SurePoint Spy are three very best text messages spying apps – as far as my research and personal analysis are concerned. If, I were to name one most thoroughly developed app for remote message monitoring that’s none other than mSpy app. The app is made by a US based company. The app not only allows to spy text messages but as well as calls and GPS location of the phone. The app has over million downloads and decent customer base already, so many people can’t be wrong – of course, I tested too. The monitoring can either be done from another phone, PC or laptop – simply put, you can monitor literally from any device. Read complete mSpy review here, if you want. So, you just get your hands on mSpy or a similar app and you’re ready to spy on text messages of anyone you’d want as like governments these days. It really is that much easy, thanks to the tech development! Thing to be noted here is, the target phone (where it’s installed) needs to have Internet active on it. Even if the phone gets connected to Internet seldom, it will do. As mSpy app (which keeps working in background) will be saving every single text message and rest of the things in it and as soon as the phone gets connected to Internet, it will upload everything onto servers and hence it will become available for you to see at your end. So, the monitoring is only possible if the person monitoring has an internet enabled device. This is yet another cool feature of this and other text messages and phone spying apps that actually provoked me to do a post on this topic. Now, the use of spy apps should be ethical. This means that the access they grant should not be abused. In some jurisdictions, the use of such apps can amount to violation of rights to privacy and therefore is a crime. If in the United States one should make very sure one is the owner of the phone in question. A parent who has purchased a phone for a child. an employer who owns a phone given for work purposes to an employee, in such cases the use of such software would likely not be an issue. If, in the case of an employer, I would notify the employee of its presence on the device. However, to install software/apps of the type discussed on the phone of another without their consent [and I would make sure that is written consent if I were you] would be a violation of federal communications laws and, I would think, all state statute law in the U.S. Thank you Paul for taking the time to comment. As you can see the author clearly stated at the end “use of spy apps should be ethical”, and I personally believe many people would want to spy on others simply to make their relationship better with others. Take an example of the couple who is suffering bad time because of the misunderstandings, in that case one would want to monitor other for finding out what’s going on and what he/she should fix at his/her end. Nevertheless, everything comes with some pros and cons – so it all depends on subject what he/she wants. It’s the owner of the mobiles right to monitor the use, after all they bought the device and entrusted users to use it in the right manner. So by monitoring the use by the owner, I proffer he is doing the right thing. If the user has abused this, it’s their fault and have no leg to stand on. What is it with people, that they can’t be entrusted to use a device in the right manner!